DERRY -- “Next,” said Bridget Detollenaere, from behind the guidance reception desk, dressed as the Mayor of Munchkin City. Flanked by John Chappell as the Cowardly Lion, Lisa Rezaee as the Wicked Witch of the West, Julie Maher as Glinda the Good Witch of the South and Jan Deleault as the Wizard of Oz, Detollenaere was conducting guidance office business as usual Friday, all things considered. Dressing up in a particular theme each Halloween has become the calling card of Pinkerton Academy's guidance department, a trend that began a few years ago which has extrapolated into a spectacle of epic proportions – to almost everyone's delight. “Props, scenery – I come up with it all, in my head, but my husband Geoffrey makes it happen – he's a carpenter, and teaches at Nashua High School. I tell him what I envision and he builds it,” said Westervelt, dressed up as the coroner of Munchkinland. In past years they have been pirates, dressed around a circus theme, explored their inner farm animals, and last year, celebrated Green mythology. “As we were getting ready for last year, someone came up with “Wizard of Oz,” for next year – and we already know what we're doing next year – Hard Rock Cafe,” said Westervelt. The props don't go to waste, either. What doesn't get donated to the school's drama department finds a good home elsewhere. “The Parthenon my husband made for us last year was donated to a teacher who teaches mythology at a Nashua middle school,” Westervelt said. She coats her reluctant bushy black mustache with another layer of glue stick and reattaches it to her upper lip as she explains how a woman who hates Halloween can justify such over-the-top frivolity. “We deal with some tough stuff in here, and it gets tougher every year, everything from boyfriend-girlfriend breakups, anxiety, family issues, depression – in fact, you may not realize this, but while everyone was out there posing for photos, I was in here dealing with a suicidal kid,” said Westervelt. Those momentary juxtapositions of life happen every day, even on days reserved for holiday fun, where a room full of munchkins have no power over a teenager who's lost in a haze of hopelessness. Westervelt and the rest of the guidance staff are trained for just such moments. They are lucky when a distraught student, down to his last thread of hope, finds his or her way to a place where caring adults, no matter how they are dressed, are ready to listen, and to help. And she suspects it's why the themed Halloween celebrations have taken on a life of their own – it has become a tradition here, a way to gel the guidance department as a team, reinforcing the camaraderie that is so necessary to keep going despite the difficult emotional work they are often faced with. “It really brings us all together,” Westervelt said. It also draws students, mostly out of curiosity – and of course, for candy. Haley McDonald followed the yellow brick road leading from the hallway to the guidance office, past the miniature tornado and the shriveled legs of a witch gone wrong, where she was met by Dorothy Gale, who led her through the Emerald City and into her office, for a chat. “I knew they were decorating for Halloween, but I didn't expect this,” said McDonald. Her guidance counselor, Kate Ledoux, was in full Dorothy Gale regalia, right down to the ruby slippers and picnic basket with a stuffed Toto. when he wins Tuesday’s election, unseating incumbent Democrat John Lynch. DERRY -- With only days left to convince voters that he’s the man for the job, Republican gubernatorial candidate John Stephen brought a formidable wingman along Saturday during a pair of campaign stops. Former New York Mayor Rudy Giuliani led the way, greeted by a capacity crowd in the upstairs bar at The Halligan Tavern during the second of two stops in the Granite State. After wrapping up in Merrimack, Giuliani and Stephen tag-teamed a friendly rush of supporters at the Irish pub just after 4 p.m., getting right down to the business at hand — the countdown to Tuesday. Although the most recent University of New Hampshire Survey Center polls put Lynch ahead by a double-digit margin — Lynch is favored 51 to 38 over Stephen — on Saturday, Stephen was still high on the momentum of his campaign. Giuliani asked for the pen to segue into his own remarks, asking Stephen, “Can I borrow your pen?” and using it to sign his name on a campaign sign behind them. “It works,” he said. “Running is hard. It takes a lot out of you. John is doing this for all the right reasons,” said Giuliani. “I’m so enthused by it. Our country’s in bad shape; our states are in bad shape; New Hampshire could lose what’s special about New Hampshire.”From there, Giuliani spoke generally about the need to rid Washington of “scary” Demo-crats, using a Halloween analogy and a couple of young kids in the room to bring home his point. “They want to take all your candy; all the candy up in Concord and Washington,” said Giuliani. He also spoke about the importance of grassroots support that bubbles up directly from the people, rather than top-down government that imposes its will on the people with more taxation and bigger government. “It’s about what we believe in, not what the people in Washington want,” Giuliani said. of the Derry Garden Club prepared the municipal garden for winter. DERRY -- With the switching of seasons comes a changing of the guard at Pocket Park. With her 5-year-old daughter Elizabeth and fellow garden club member Randee Martin, Toomey spent several hours on Thursday pulling up annuals at Pocket Park and planting bulbs that will bloom in the spring. Elizabeth Toomey plants tulip bulbs at Pocket Park. But the tulips, daffodils and allium flowers that will fill the garden next spring are relatively new additions to what has largely remained a traditional “municipal” garden since it was first built in 1998, Martin said. A municipal garden, she said, is one that relies on larger shrubs and requires little maintenance. But for the past two years, Toomey and Martin, who co-chair the club’s civic beautification program, have been incorporating more flowers. prepares the soil for planting. And what started as buying a single flat of annuals has grown into an investment of several hundred dollars, she said. Each year, the Derry Garden Club designates $1,000 for its civic beautification projects, which also includes maintaining gardens at the Marion Gerrish Community Center and Boys and Girls Club of Greater Derry. shifts from June to September to water and weed the gardens. Between 15 and 20 people are responsible for the work at Pocket Park each year, Martin said. And in fairness to volunteered time, Martin says she and Toomey try not to get too crazy. Toomey, who grew up in Charlestown, Mass., creating community gardens out of old city lots, said a public garden can make a real difference. DERRY -- Construction of a new medical center on Tsienneto Road could begin as early as next month, says the project’s engineer, after state bond approval came through last week. The project at 14 Tsienneto Road will be constructed by Tsienneto Fourteen Development LLC under the management of Tom Buchanan, the same group that built the nearby Overlook Medical Park at 6 Tsienneto Road. The building will house, among others, members of the Derry Medical Center, which currently has offices at the Overlook park. The three-story, 24,000-squarefoot building will receive nearly $5.3 million in state-backed financing through the New Hampshire Business Finance Authority, after Gov. John Lynch and the Executive Council approved the funding last week. The Derry Planning Board has already approved the plan, said town Planning Director George Sioras, and was just waiting on financing decisions to come through before giving a final signature. Sioras said the building fits well with the Tsienneto Road area, which was rezoned from residential to light industrial office about 10 years ago, he said. And Sioras said he hopes the new construction will draw new businesses to the area and strengthen those already there. Coviello said construction will likely to take about a year. Ken and Terry Stevenson with their prototype custom bench. DERRY -- For nearly a dozen years, Ken and Terry Stevenson have quietly made a modest living manufacturing custom signs from a workshop garage on Desmarais Avenue. He knows the true purpose of a well-made sign is to be a silent salesman, drawing in customers and marking territory along well-traveled roadways. And so, for more than 50 years he’s relied on repeat business and word of mouth to keep the two-person operation going. He and his wife moved from the Fairways apartments to their own home 11 years ago. Working from a shop has made things easier. But easier is not what motivates Stevenson. “I’m an artist. I do everything by hand. No one wants to take the time to learn. Terry has learned a lot, and she’ll take over the business someday. But we had to do something else to anchor our business. Between the economy, and people moving away from handmade signs, we found ourselves with a lot of time on our hands,” says Stevenson, who will be 69 next month. That idea led the couple to consider other ways personalized plaques could be used, which led them to the idea of hand-manufacturing custom park benches from cedar and powder-coated aluminum, where a plaque becomes the personal touch — featuring a business logo, a historic marker, a memorial tribute or just to dedicate a family’s territory under the old oak tree. “If you’re Dunkin’ Donuts, you can put a Dunkin’ Donuts logo on there. If you’re a town, like Derry, you could place some benches along the main street, and have plaques depicting different aspects of the town’s history,” said Ken Stevenson. While their sign business slowed over the past two years, they made good use of their down time, doing their homework and settling on specifications that mirror a century-old deacon’s bench they have in their living room. The process is painstaking. Ken Stevenson uses a computer to create a design template, which is transferred onto the plaques, made of Celtex, a durable plastic. He can also hand-paint a design or add lettering, and benches are painted and/or stained to order. They rely on a handful of local businesses for welding and powder coating. So far they have created a prototype bench, displaying one of the old trains they love, along with their name. Watching the Stevensons at work, talking about their new venture, is a study in true love and friendship. They really do finish each other’s sentences, and brag about the other’s personal and professional qualities. Although they’ve only been married for 16 years, they were friends for 20 years before that. She has learned everything she knows about the sign business by watching him work. He learned the business from the late Pete Czerepak, when he was just a kid growing up in Massachusetts. “I always knew it was what I was going to do for the rest of my life, from the first time I saw a guy painting a sign at the bus stop outside my window. Pete told me, ‘You’re never gonna be rich, but you’ll eat steak a lot.’ He was right. We don’t make much money, but we have fun,” Ken Stevenson said. Over the years they have made signs for several local businesses, such as Pete’s Scoop on Route 28 — including the giant ice-cream cone and banana split; the entrance sign for Canobie Lake Park, along with seasonal specialty paint jobs, including their Halloween Screeemfest décor; and Dunlap’s Ice Cream in Seabrook. “Everybody we’ve done work for comes back. Only problem is, a business only needs so many signs, and if they’re made right, they don’t wear out very fast,” said Ken Stevenson. “We’re going on faith, starting something based on an idea. We really don’t know if they’ll sell, but we think they will.We’renotsurewhat’sgoing to happen, but we’re keeping busy — after all these years of doing what we do, it’s exciting to adventure into new territory, making our own product,” she said. The Stevensons are holding an open house on Oct. 30 from 10 a.m. to 2 p.m. at their homebased business at 4 Desmarais Avenue. For information call 432-1753. Bob McFarland, left, and Dennis Hebert outside the Derry Friendship Center. DERRY -- When Dennis Hebert sees a crowd smoking cigarettes outside the entrance of the Derry Friendship Center at 45 E. Broadway, he's encouraged. "Isn't that wonderful," Hebert often says. "Look at all those people in recovery. I'm so happy they're doing something about changing their lives." But Hebert, who volunteers at the center and himself has been in recovery for more than 7 years, says he knows not everyone in town sees it that way. "If you're in sobriety, you understand all this," he said. "But if you're one of those out there who has no clue, then to you it's an eye sore and it's disgusting to see people smoking outside." "But that's what this is – it's a recovery center," he said. "We've got some pretty down-and-out people with addictions and mental health issues who come in here desperately fighting to stay sober and straight and for some of them, the only reason they can is because of this place." But as community efforts mount to find a new location for the Friendship Center, Derry Planning Director George Sioras says no one is questioning the value of the center's work. "Everybody recognizes the need to provide that center," Sioras said Wednesday. "It's a great thing for people to help them, so I think it's more just to see if there's some place they could be in the downtown, but not on the main street to be congregating outside." 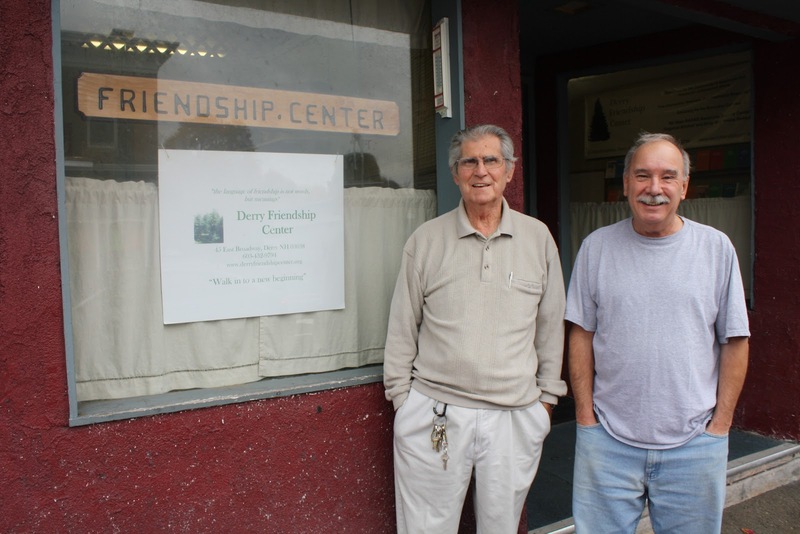 For several months last year, a former member of the Derry Downtown Committee had taken the lead on working with the Friendship Center to look for possible new locations. But after she resigned from the group this summer, Sioras stepped in to pick up where she left off. The committee has been working for about a year to find ways to improve the state of downtown, where a growing number of shops and restaurants are shutting their doors and leaving behind vacant storefronts. And in conversations with committee members and other downtown businesses, Sioras said there's a feeling that the Friendship Center might not be right for such a prominent place on Broadway. "It's not anything negative, but it's just with that location," Sioras said. "It's the perception with a lot of people being on the sidewalk outside. I think some people see that and look at that as a discouragement of downtown." Hebert says he understands that concern. "It's the town's apparent desire recently to take a harder look at the downtown area and make some structural changes and the Friendship Center wouldn't be part of that plan," he said. "We realize that, so we're willing to consider other options." And Friendship Center operations manager Robert McFarland says the group is already hoping to expand from the space its occupied for the past 30 years on a month-to-month lease. "We want to try to look for something that we can use and afford that's hopefully a little larger," he said. "And if and when we need the help, we'd like the town to respond to us and help us in some way if they can." Finding a new building to lease or buy outright on a budget would be difficult, McFarland said.The center is a registered nonprofit and all funding comes from those who rent the space for peer support group meetings and from private donations. Currently the center serves more than 700 people each week, with nearly 20 weekly support groups meeting in the building's large main room, he said. Recently some programs have shifted to a new facility called the Avery House at the Londonderry Presbyterian Church campus, but McFarland said the Derry center is still strapped for space. Further, McFarland said he worries about moving the center too far from its current location. Right now they are limiting the search to spaces within one mile of Broadway, he said. "For what we do, we don't have to be downtown," McFarland said. "But we don't want people to have to look for us. We don't want them to have to travel any great distance to find us again." Sioras said he and Hebert began conversations about potential relocation sites this fall and will continue working together in the coming months. "Attempts in the past didn't go too far, but I think this time we have some new people and it's a great thing," Sioras said. "Most important is that we're opening up the lines of communication and that's been excellent." 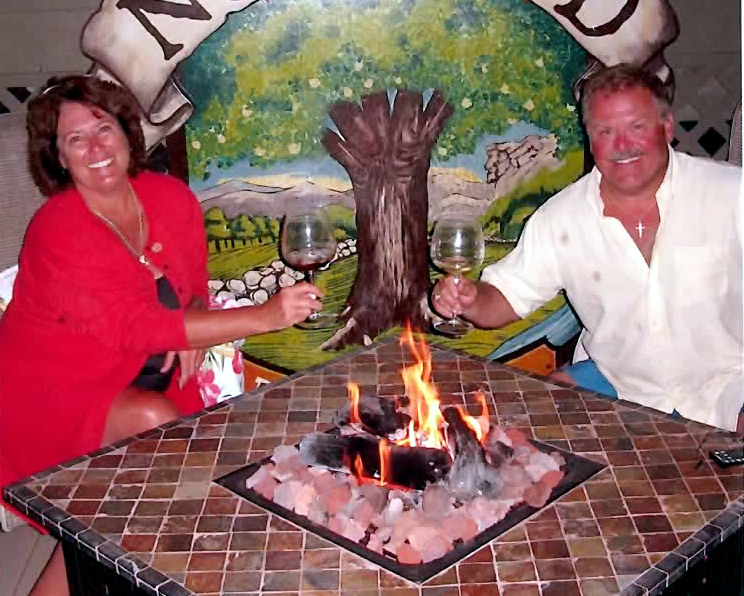 Jim Killeen, left, with wife, Tina, on their backyard deck in August. DERRY — When Jim Killeen decided to leave the corporate world and launch a microbrewery, he had already latched on to something that the rest of the world was about to discover: tinkering with beer is fun. 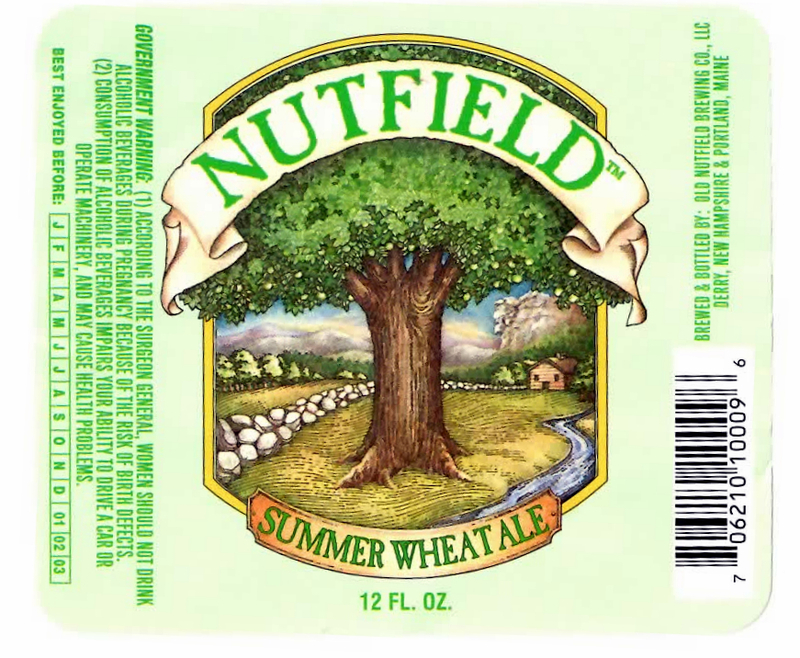 And for short time in the late 1990s, Killeen lived a wonderful life as meister of his own brewing company, the Old Nutfield Brewing Company, a 25-barrel brewery in a retrofitted shoe factory on Manchester Road. The business lasted until Killeen’s plans to expand the business and build a bigger factory fizzled. Killeen, 55, died Monday while jogging. Yesterday his sons, Jonathan and James, talked a little bit about their dad, his big dreams and the legacy he left behind. “Fortunately our mom kept copious scrapbooks on everything about the brewery,” said James Killeen, flipping through one of the three large volumes featuring a Coloniallooking nut tree growing in fertile Derry farmland on the cover. Inside the protective plastic sleeves are hundreds of yellowed clippings that track Killeen’s success as a hometown brewer of award-winning beer. He settles on a page featuring an editorial cartoon of Sen. Bob Dole, whose face replaced the Old Man of the Mountain, a beer truck ambling down a road in the distance. “That was probably one of the best stories,” said James Killeen, relaying how a planned campaign stop in 1996 by the Republican Presidential hopeful was canceled after Dole’s campaign found out that Killeen had a beer called Old Man Ale. Dole, then 72, had been taking heat for being a geriatric candidate. But when word got out about the reason behind the Derry stop being cancelled, Dole quickly reversed himself and showed up to the Nutfield plant, creating national buzz about the brewery. Dave LeFrancois, a former attorney who now presides as a judge at Candia District Court, represented Killeen when he set up the company. Few know that better than Alan Pugsley, master brewer for Portland, Maine-based Shipyard Brewing Company, which eventually took over Nutfield as a contract brewery. 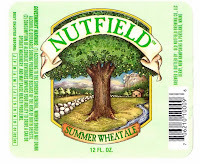 Although original Nutfield brews still exist and are rolled out for special tastings, the only product still sold commercially is Old Nutfield Root Beer. Every Tuesday, Killeen would make the trip to Portland to pick up his 25 weekly kegs of the soda, which he distributed to restaurants around New England. Killeen and Pugsley met in 1993 at a craft brewers conference in New Orleans, eventually becoming business associates and longtime friends. “Normally every Tuesday I’d see Jim at Shipyard, and we’d sort of wave to one another — we rarely had time to catch up. But three weeks ago we were a little late on production. I bumped into him in the hall and told him he might have to wait a bit for his kegs,” said Pugsley. Killeen’s main business partner in all things was his wife of 32 years, Tina. The couple had just returned from a birthday vacation — Jim Killeen turned 55 on Oct. 7, the day they set out for a trip to Marco Island in Florida. “It was the first vacation, just the two of them, that they’d had in years,” said James Killeen. The brothers said they aren’t sure what’s next for the Nutfield Root Beer Soda Company, but for now they want to keep it going. Given the family legacy, and their large Irish-Catholic family, the brothers figure Friday’s funeral service for their dad will be more a celebration of a life well lived. “His favorite saying was ‘It’s a Wonderful Life,’ the title of his favorite movie. 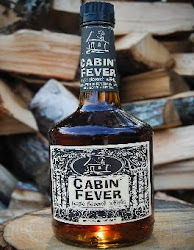 I’m pretty sure the root beer will be flowing Friday, minus the root,” said James Killeen. DERRY — They now have a name — the Downtown Derry Business Association — but that’s just the beginning. “I hope with our collective voice we can complete some action items and bring them to the council,” said organizer Tom Hankins at the business owners group’s first meeting Tuesday night. “It’s a tough budget situation especially with a school shortfall, but there’s nothing more important to me than a quality downtown that says something about the makeup of the whole town,” he said. Hankins, who with his wife, Mary, owns Backmann Florist on West Broadway, has been working for the past few weeks to organize his neighbors. For now, the group is targeting businesses from the Marion Gerrish Community Center to the Derry Public Library, but members say they are open to expanding to any businesses with an interest in the downtown. But the group has some lofty goals beyond networking. Among a list of focus areas, group members Tuesday identified the safety of downtown parking lots, increasing police presence in the downtown, updating “eye-sore” buildings, working with absentee landlords and upgrading and maintaining streetscapes. Further, members expressed interest in finding ways fill the mounting number of vacant Broadway storefronts, especially the recently closed Depot Square Steakhouse. “We can’t stand by and watch it get any worse,” Hankins said. But Ron Darios, of Daren’s Music Center on East Broad way, said he hoped the group would come up with some specific requests for the town. Top priority for Rhonda Cairns, who owns Le Beaderie on West Broadway, is faster town snow removal from the downtown area after a big storm. “My first thought was that we need to address if we have the ears of anyone on the town level,” Cairns said Tuesday. But after years of landlord difficulties and escalating criminal activity in nearby parking lots, Cairns said she’s fed up. “I’m listening tonight and I’m hopeful, but I’m burned,” she said. But Michael Gendron of the Derry Downtown Committee said he believes the town and wider community is ready to help. Gendron has pledged his group’s support to the initiative. Organizer Mary Hankins said Tuesday’s meeting is a first step. Hankins said the group will try to arrange a meeting in mid-November with town officials to begin joint discussions. To contact Tom Hankins, e-mail floraldimensions@aol.com or call 432-2371. Yesterday marked John Anderson's first in Derry's corner office, as he officially took over as town administrator for Gary Stenhouse, who retired after three years at the helm. "Today's been great," said Anderson yesterday, after spending the day meeting with town hall employees and police personnel. "The staff here are wonderful, from Gary all the way down." Anderson, who comes to Derry after a decade as town manager in Boothbay, Maine, said he'll spend the coming weeks getting to know his new coworkers, town officials and the wider community. "What I want to do is reach out to the community and show that we're one big town of Derry and all in this together." And Anderson will literally be neighbors with the people of Derry, as he continues moving into his Lane Road home this week. And although a Derry residence was not required for the post, Anderson said he knew he wanted to live in town. "There are some of us in this profession that say it's nice to go home at night and not take the job with you, but I'm of the other camp," he said. "I think that if you're going to lead a community you need to live there." Susan Brown, head of the Derry Public Library’s reference department, fires up the three computers dedicated to online research, available to the public whether they are library card holders or not. DERRY — When the Derry Public Library decided recently to cancel some of its daily newspaper subscriptions, it was not meant to rob the reading public of its daily news. Rather, said reference desk head librarian Susan Brown, it is a trade-off meant to give the people what they want, while sticking to an ever-challenging budget. “We’re actually saving money, leveraging access for the public to a lot more quality material for a lot more people,” said Brown. By doing away with print subscriptions to the New York Times, Wall Street Journal, Nashua Telegraph and Concord Monitor, the library is saving $1,500 — which is over and above the $1,200 cost of expanding its subscription to NewsBank, an electronic clearinghouse of online publications. Now, anyone with a library card — or anyone who comes into the library and sits at one of three dedicated reference computers, card or no card — can access newspaper archives, as recent as yesterday’s news, from any one of 1,400 national newspapers, magazines and seven New Hampshire papers. The seven local publications are: the New Hampshire Union Leader, Concord Monitor, Derry News, Nashua Telegraph, Nashua Broadcaster, Eagle Times and Foster’s Daily Democrat. Formerly, the library had a limited NewsBank subscription, which only included statewide library archive access to the Union Leader and the Concord Monitor. This expands its archival access of statewide news to seven papers. Times are changing. With the increasing use of handheld devices like iPads and smart phones, a growing segment of the population is opting to get books, newspapers and magazines electronically. But in an information age where only half the country’s population is online, the library is making sure that it is spending tax dollars on the print publications most relevant to its patrons while providing the most information to those who are scouting for news and knowledge on the Information Highway. For instance, when Merrimack Library decided to spend the extra money for expanded NewsBank access, it was driven by its patrons interest in access to the Nashua Telegraph, which is not available to libraries through the state’s limited NewsBank offerings. Part of Brown’s job is knowing exactly which databases are being accessed, and how often. As newspapers struggle with how much content to continue to offer the public for free, which includes archived editions, Brown feels strongly that the public library must continue to be a proponent for freedom of information when it comes to our culture’s most valuable information. “In the big picture, the Internet has opened up accessibility. But at the same time, it’s made people come to expect everything for free. Sure, you can find daily news information online from newspapers or magazines, but it’ actually not free — it’s costing some people a lot of money to create that news, and the general public doesn’t necessarily appreciate that,” Brown said. “Making sure people still have free access to quality content is important to us as a library — otherwise, people will be left with the junk that is thrown up online, and the quality of news will be degraded over time,” Brown said. Another consideration for the Derry library and its national counterparts is space. A month’s worth of newspapers takes up a lot of shelf space. “We’re planning to redo the main library based mostly on our need for new carpeting and paint. We have to move the stacks anyway, but it made sense that, as the library continues to grow and change its offerings, our space is valuable; we need more space for other things,” Brown said. This is not purely a decision made in deference to technology, said Brown. a wider pool of online news sources. “Those who are connected to the Internet and work with technology every day take for granted that U.S. Census statistics show 50 percent of Americans are not online. Whatever the proportion is for Derry, that proportion still needs access, which is why we have three computers dedicated for online resource access for anyone, regardless of whether they have a computer at home,” Brown said. William McKeen, author, journalism professor and acting chairman of Boston University’s journalism department, said he prefers the handheld paper version of his favorite news products. He is no luddite — he’s just a fan of the serendipitous experience of discovering news that only comes when you read a newspaper by turning the pages. What is lost to exclusive users of web-based information is the joy of discovery, said McKeen, of “turning the page and being surprised” at a gem of an article you weren’t looking for when you opened the newspaper to page A6 to finish a story from page one. Derry Public Library Assistant Director Diane Arrato Gavrish said personal preference is part of the puzzle. But there is still a concern that, as content shifts to electronic delivery and the next generation of readers is more likely to carry their bookshelf around with them, stored in a handy electronic device, the library has a duty to maintain access to information that is free flowing. “It’s a positive for the taxpayers of Derry. We’re giving people more access to more information for less money,” Gavrish said. DERRY — After previously low public turnouts on discussion of a 10-year strategic plan for the town’s fire department, Derry fire officials hope residents will come out tonight for an informal meeting to talk about the department’s future. “We’re looking to solicit input from the public, our citizenry, to see what they think their fire department should be,” said Derry Battalion Chief Michael Doyle on Monday. Three years ago, the department set out to put together a comprehensive plan laying out goals for the next 10 years.Doyle also said having a solid 10-year plan in place is a big part of receiving department accreditation from the national Center for Public Safety and Excellence group, or CPSE. Under the current draft, the department’s mission reads “Plan, prevent, provide,” with the core values statement of “Excellence through professionalism, integrity and compassion.” Numerous goals are outlined throughout the 47-page document, ranging from one-year goals such as increasing data collection and quality to 5- and 10-year goals, like receiving CPSE accreditation and possible construction of a new fire station, respectively. Last year, the committee called the public in to comment on the plan, but only a single citizen came out for the meeting, Doyle said. Shortly after, the Town Council tabled consideration of the plan, he said, asking that the committee incorporate further comments from the public. Doyle said fire officials are now hoping to bring the updated plan before the council in the coming months, but not before one last round of public input tonight. The current draft will be available for informal public review tonight, as fire officials will be around to talk with residents from 7 to 9 p.m. at the Derry Municipal Center. DERRY — The road to widening three-quarters of a mile along Route 28 in Derry has been a long one. Before any construction on the $5.8 million project can begin, the town needed to secure land from 15 separate property owners along the stretch of Manchester Road from Crystal Avenue to Ashleigh Drive. And after years of “friendly” negotiations, town staff say they have just two parcels to go. But the town has yet to settle with Pinkerton Tavern, the most complicated property on that list. The tavern building is the only structure standing directly in the way of the widening efforts, and with separate property and business owners, Derry Public Works Director Mike Fowler said negotiations have been tricky. And now the Town Council is poised to initiate eminent domain proceedings to seize the Pinkerton Tavern parcel, along with 1,384 square feet from Sullivan Tire at 4 Ashleigh Dr.
“The town was attempting to try to get friendly deals on all of the parcels, but at some point, we felt it was necessary to send the message that we really need to get this project moving,” Fowler said. While Fowler said the town has received no response after several attempts to negotiate with Sullivan Tire, talks with Pinkerton Tavern property owner Arnold Goldstein began in 2007. By 2008, Goldstein said the town had offered him $910,000 for the property, as long as he terminated his 20-year lease with Guy Streitburger and Jen Lutzen, who have been running the tavern at its 13 Manchester St. location for the past eight years. Before Goldstein could accept or reject the offer, the town put the project on the back burner in April 2008, after the withdrawal of plans for a new Walmart in the area, Fowler said. The council then revived the plan in late 2009, he said, and a new, though scaled-back, version of the Walmart project has since returned to the town planning board for preliminary design review. In May 2010, Goldstein said he received and rejected the town’s repeat offer of $910,000, with the hopes that an agreement could be made that would include provisions for his tenants. The town’s initial offer was based on a 2008 assessment, Fowler said, and with changes in the commercial real estate market since then, the town decided to reassess the property for a new offer in July. Goldstein said the second assessment came in at $700,000. Goldstein said he rejected the reassessment, claiming it was too low, and also maintaining that he wants to see the town do more for Streitburger and Lutzen. Fowler said the town will have to assist the business owners with relocation to comply with state regulations tied to a $700,000 state grant used to partially fund the expansion. Fowler said the town looked into several options for moving the existing building to another location on the property, but that the limited parking area and nearby wetlands made a relocation impossible. In lieu of that option, Fowler said the town will cover the expense of moving the restaurant’s physical equipment to a new location. At this point, he said, Streitburger and Lutzen will be able to stay in the building until at least Jan. 4, with the potential to extend for a few months. But settling up with tenants becomes a separate process from using eminent domain to seize the physical property, Fowler said. And the council will have the chance to formally initiate eminent domain proceedings at its Nov. 3 meeting, after earlier tabling those talks last May. If approved by council, the town will forward its assessment to the New Hampshire Board of Tax and Land Appeals, Fowler said. Ultimately, the state board will decide how much the town will pay Goldstein for his land. Fowler said he hopes to have the Route 28 widening project out to bid by March, with construction under way in April. By then, he said, the tavern will be evacuated and hopefully auctioned off to a buyer interested in moving the building to a new location. If no one is interested in the building, Fowler said, it could be knocked down as a last resort. Though most work will be completed by November 2011, Fowler said some final paving and cleanup efforts will likely continue until April 2012. And though the end is in sight, Goldstein said he’s been frustrated with town efforts to keep the Pinkerton Tavern alive. Streitburger declined to comment on the pending case, saying only, “There’s two sides to every story.” And while Fowler said he understands the sensitivity of the subject, he said he’s optimistic that everything will work out in the end. Christopher Murphy, left, film and TV development executive for MyTV New England, stands with Keith Dorrington, executive producer of the motion picture “The Fighter,” at the MyTV studios in Derry. DERRY – Christopher Murphy is high on marketing – he's created a model for broadcasting local content that utilizes “branded entertainment” as a way of underwriting independent films or TV programming. Not only does it remove all kinds of hurdles in the creative and financial process, but will become what he believes to be an industry game changer, putting the humble New England station on the map. As Film and TV Development Executive for MyTV New England, Murphy has been tirelessly pounding the pavement, looking for independent filmmakers and potential TV producers who will buy in his branded entertainment model, a blueprint for success that includes executive support and how-to workshops. And he is finding them. Mike Grosse, for one, who is currently filming a 13-episode TV series on fencing that already has its broadcast premiere set for Nov. 26 on MyTV. “When I met Chris, I was working on another TV show and he was talking to me about NBC Universal Sports Boston, which is part of MyTV's lineup and the only home of Olympic sports between Olympic games. We were kind of joking around and I said, 'If you ever need a show about fencing, let me know.' He said, 'That's a great idea – let's make it happen.' And so that's what I'm doing,” said Grosse. A graduate of Timberlane High School and UNH, Grosse, 26, of Newmarket, has quit his day job as a full-time cineplex manager and launched his own production company, 2:17 Studios. 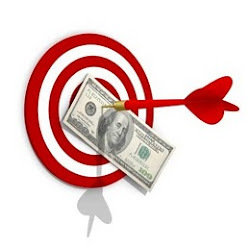 He's also successfully signing on advertisers to support the production cost of his program, which will become a win-win-win situation – he will not go into debt producing a show; targeted advertisers know that their products and services will be seen by viewers most likely to be interested in what they're selling; and viewers will actually have interest in watching commercial breaks, which flow seamlessly in and out of the programming. His show, a hybrid documentary – half sports cast, half reality TV – will not only give exposure to the local fencing scene, but follow the journey of a novice to the sport learning the ropes of fencing, culminating in entrance into a fencing tournament – sort of like MTV's “Made,” only more in depth. “Advertising is the engine that's pushing this show forward. The sponsors I'm looking for are businesses that can have some kind of tie in with the narrative arc of an athlete learning a new sport. It's really an exciting opportunity for a lot of businesses that wouldn't get a chance to sponsor a television show, to get their names out to a wider audience,” Grosse said. Branded entertainment – in simplest terms, strategic product placement by advertisers – is nothing new. But with the advent of VCR and, more recently, TiVO technology, advertisers are losing their ability to reach customers. Murphy said the same process Grosse has embarked upon is being embraced by local independent filmmakers. They conceptualize a story line, and build into the script certain products or locations. For instance, before production even begins, a filmmaker who knows he wants to shoot a scene in a pizza place can approach a local pizza business and promise them that, if they sign on to the project, their business will seen by potentially millions of viewers. “So many filmmakers dump money into making a movie that may never see the light of day. This is a way of guaranteeing someone will see see it, and it can be accomplished with no budget, or on a low budget,” said Murphy. And that exposure will come in two ways – through a new partnership with Red River Theaters in Concord, films made and distributed through MyTV's branded entertainment strategy are guaranteed a film premiere at Red River, followed by a television premiere on MyTV network. In addition, Murphy is in the process of transforming office space inside the studio so that it can be used as production space, including sound stages and green-screen production studios. If all goes as planned, Murphy envisions Derry as the future Hollywood East. Last week he invited Keith Dorrington to come up from Boston for a look around the studio. Dorrington is executive producer of “The Fighter,” a motion picture starring Mark Wahlberg and Christian Bale, due out in December. Getting the word out, particularly to successful filmmakers who are likely to know other filmmakers, is all part of his salesmanship. and community leaders during yesterday’s Moving Derry Forward task force meeting. DERRY — Toward the end of Thursday’s two-hour meeting at Parkland Medical Center of the Moving Derry Forward committee, business owner Phil Abirached asked the million-dollar question: “Say I’m a business coming to Derry, and I want to talk to someone: Who do I contact?” said Abirached.If there had been crickets chirping in the room — along with the 20 attendees representing various business, private and public sectors of the community — they would have been the only audible sound. It was an “a-ha” moment, according to Michael Gallagher, senior vice president of Enterprise Bank, who felt that Abirached’s question cut to the chase of what’s missing from the economic development equation. Laurel Bistany, executive director of the Rockingham Economic Development Group, followed up by suggesting what’s needed is an ambassador, whether it’s the temporary role of a current employee, or the head of some volunteer group. The meeting began with Stu Arnett of The Arnett Group recapping what the committee’s marching orders were when the group was approved by the council as a temporary steering committee — create a short list of tasks crucial to keeping the Route 28 North Tax Increment Financing District on track, and map a plan for raising tax revenue by $2.5 million in the downtown district. The third item — figuring out the missing link to tangible economic growth — appears to be the most crucial, given Abirached’s question and the group’s lack of a collective answer. In fact, the need for an information conduit — not just as an outreach to potential businesses, but internally — was underscored when Town Administrator Gary Stenhouse put Gent Cav on the spot. “He just told me something and I want him to tell the group,” said Stenhouse, who was seated next to Cav in the back of the room. Cav is CEO of G4 Communications, a local provider of high-speed Internet and data services. “If you look at the fiber infrastructure, Derry is the highway compared to other communities around us. We have the capacity to light every business up like a Christmas tree, but we aren’t attracting businesses,” said Cav. He told the group that because he has connectivity that runs directly to Boston, Derry is the perfect site for a satellite operation virtually linking a Southern New Hampshire workforce with its Boston headquarters. “From my perspective, bandwidth and capacity is something businesses are struggling with, so if you have all that capacity here in Derry, you should be putting it to the forefront of your marketing efforts,” said Bistany. Many others present said they had no idea that Derry was a high-speed hub, which led to a lively discussion over the urgency in packaging the town’s strengths and then marketing them promiscuously. “Derry’s pluses include our schools, our hospital and that it’s a safe town. The negatives are taxes, lack of government support for small business and our vacant buildings, especially in the downtown,” said state Rep. Robert Letourneau. His comments prompted commercial real estate developer Ralph Valentine to point out that, dollar for dollar, Derry’s property values are competitive. “It’s not just the tax rate, it’s what you pay — and our costs, per square foot, are not outrageously high,” said Valentine, who said commercial space in Derry is going for about 68 cents per square foot, compared to similar space in Manchester, at $1 per square foot. The rest of the two-hour meeting was spent discussing a variety of topics, including the essential role reviving Route 4A could have in expanding the industrial site across from the TIF district, perhaps creating a high-tech commerce park; partnering more with Londonderry as plans for the proposed Woodmont Orchards complex unfold; looking at current town-owned property and creating action plans for development for those that are still viable, while selling off the rest; and working with regional planners to reinforce the need for a traffic signal at the intersection of A Street and Manchester Road, which is currently a deterrent to businesses. Although the consensus was that marketing Derry to prospective businesses is still key, how that will be approached is still on the table. Stenhouse pointed out that he has learned marketing should not be a facet of government. “Municipalities make crappy salesmen. The town or government should be there to help or support those efforts, but it really takes someone to go out and network, gather the information and make sure everyone knows what’s going on,” said Stenhouse. The next Moving Derry Forward meeting is scheduled for Nov. 18, 8 a.m. at Cedar Point Communications on Route 111 in Derry.